Dr. Sue (Sung Sil Lee) Sohng is a bilingual/bicultural participatory action researcher. Her research and teaching interests focused on three interrelated areas: 1) multi-ethnic, multicultural coalition building and community-centered practice; 2) globalization and welfare regimes; and 3) empowerment practice with diverse families and communities. These substantive scholarships derived from her fifteen years of practice experiences as a civil-rights and peace activist, journalist, and as a child welfare, developmental disability and mental health worker. Dr. Sohng received her BA from Yonsei University, South Korea, her MSW from Wayne State University, and her PhD from the University of Pittsburgh. She was awarded a National Institute of Mental Health postdoctoral fellowship in 1989-1990 at the University of Pittsburgh Center for Social and Urban Research. Dr. Sohng’s teaching and research are influenced by collaborative and action-oriented principles of community-campus partnership that brings diverse interests together around common goals and community capacity building. Collaborating with the Seattle/King County Minority Executive Directors’ Coalition, she examined the role of this coalition in creating a cultural space in which multi-racial identities are nurtured and a political context from which leaders from community-based organizations come together to articulate collective actions. 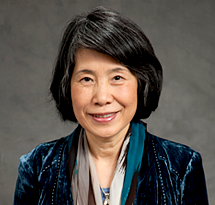 Dr. Sohng, in collaboration with the School’s Community Centered Integrated Practice Concentration faculty, was instrumental in creating the Global-Local Community Action Institute through which innovative teaching and learning initiatives, such as a storefront learning center, were launched and field- tested with students and nonprofit service providers. Expanding her scholarly interests to an international arena, she is engaged in comparative case studies exploring partnership models of local government-nonprofit social service organizations in Seattle, Tokyo, and Seoul. Dr. Sohng’s most recent project is on a gender audit methodology evaluating the United Nations Millennium development goals and the promotion of gender equality.